In Berlin’s Mitte district between Brandenburg Gate and Postdamer Platz is a field of standing blocks (Stelefeld). The slabs of concrete are uniform in colour, composition, length, and width. However, the blocks stand at different heights, the curved ground below undulates, and when the slabs loom suddenly overhead, the spaces in between can be eerie, adding to feelings of confusion and disconnection. 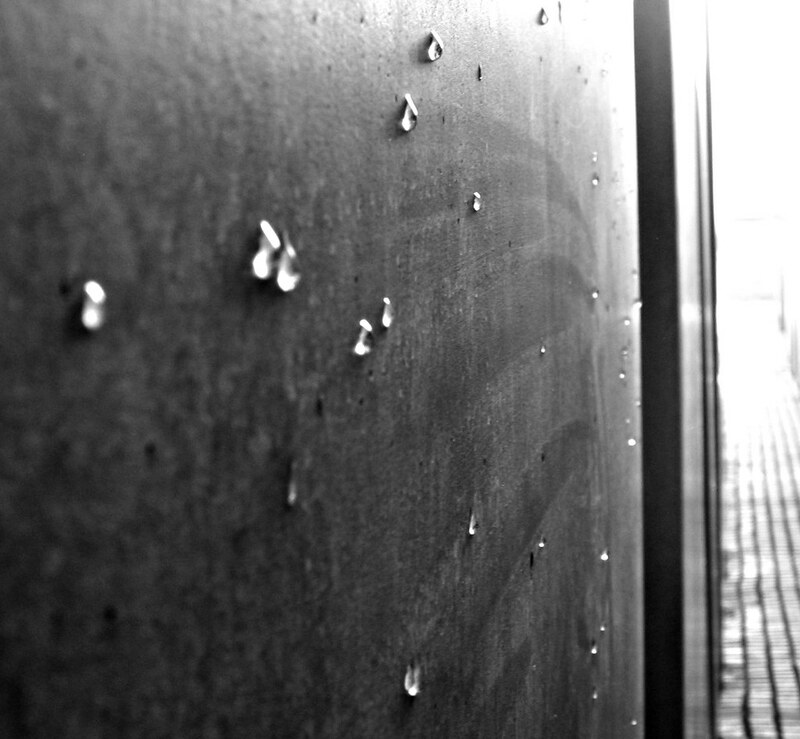 This is the Memorial to the Murdered Jews in Europe (Denkmal für die Ermordeten Juden Europas). 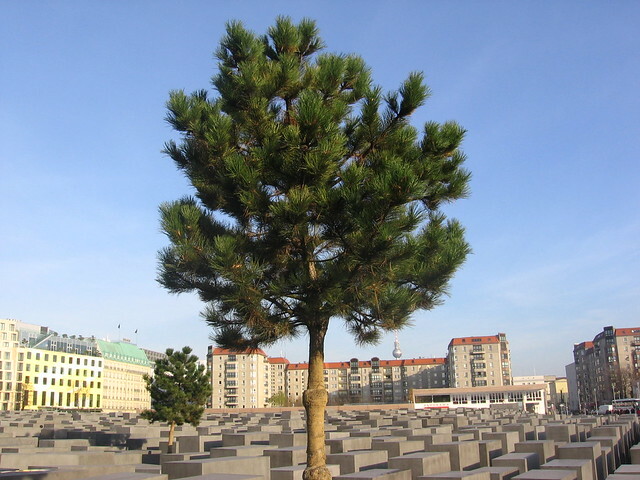 The memorial consists of two parts: above ground is the Field of Stelae, designed by architect Peter Eisenman, and underneath is the Information Centre. The location is the country’s central place of remembrance and maintained by a national foundation. I’m not happy many run through, jump over, or hide between the blocks like a playground; it’s as if they don’t recognize the significance of this place. Eventually, the realization becomes more hopeful. We live in a time where people of all ages, creeds, nationalities, and backgrounds can come here; all of whom are free to rest, talk, and to play. We’re all equal up above, here and now. Public transport: S-Bahn (S1, S2, S25) to Brandenburger Tor station or Potsdamer Platz station; U-Bahn to Brandenburger Tor (U55), Mohrenstrasse (U2), Potsdamer Platz (U2), or Französische Strasse (U6). I made the photos on separate visits to Berlin in 2006, 2011, and 2014. This post is published on Fotoeins Fotopress at fotoeins.com as http://wp.me/p1BIdT-Ww. That last photo is fabulous – I thought it was so hard to capture the curvature of the ground. Hi, Victor. That is certainly one way to describe the memorial, but on a sunny day, the memorial can have a completely different feel and sound.